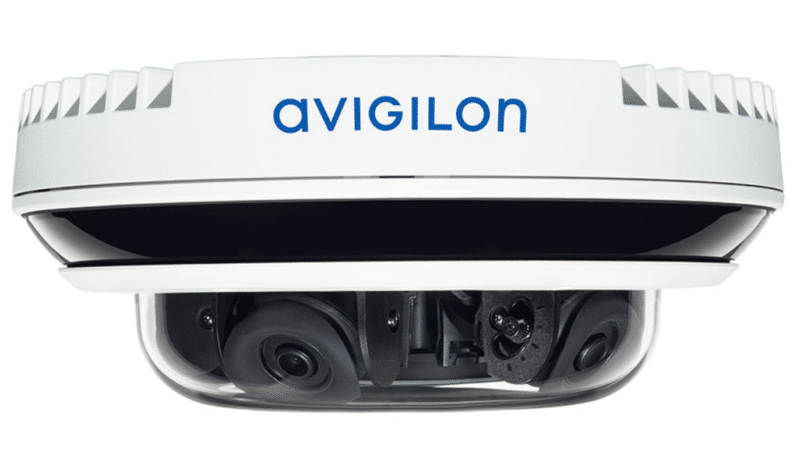 Avigilon – Pushing the Envelope! Avigilon has started 2019 with a bang! They announced several new offerings including the new H4 multisensor camera. Also, they’ve announced the expansion of the Appearance Search™ analytic offering and their continued refinement of their Artificial Intelligence appliance. Kenton Brothers Inc. is proud to represent Avigilon and it’s cutting edge, always evolving technology. For a demonstration in our state-of-the-art multimedia showroom please contact us today! Kenton Brothers Presents Axis Communications and what’s new for 2019. Technology changes our world on a daily basis. It’s crazy how quickly new technology hits the market and the impact it has on business. The security industry in no different. Partners, like Axis Communications, do a great job listening to feedback, testing and manufacturing new technology on a constant basis. This video goes through some of the most exciting IP Video Surveillance updates for 2019. Including the new Q61PTZ camera, the Axis D2050 Radar Assisted IP Video Surveillance technology, the Q1785 and Q1786 bullet cameras and finally the Q9106 anti ligature camera! As an Axis Communications Gold Partner, Kenton Brothers can help you navigate the solutions available to meet your needs. Give us a call today! It happens so much these days that many times, we don’t even stop to read the details. For those of us that have been victims of theft, it changes the way you see the world. For a few of us, theft can deal a brutal blow to your business and cost you your livelihood. Security and Video Surveillance are now necessities for businesses. Businesses must protect their assets from theft and fraud. In our previous blog, we discussed the reasons why you must have video surveillance. If you would like to know why you need commercial video surveillance, I recommend you read it. Since that blog published, we’ve received many questions on the specifics around security cameras for businesses or commercial video surveillance. In this blog, we’ll discuss some of those questions and give our recommendations or answers to these questions. Do I really get any benefits from a Commercial Video Surveillance System? Yes! If properly designed and installed by a professional integrator such as Kenton Brothers Inc. Your first benefit will be peace of mind. The video cameras and signage that Kenton Brothers Inc. provides would be an immediate deterrent for theft, vandalism and fraudulent claims. Even if the business does suffer from one of these incidents, you’ll have forensic evidence to help catch a perpetrator or act as a witness to a fraudulent claim. Many businesses also see increased employee production as a benefit of installing commercial video surveillance. Some commercial insurance companies will even reduce rates on your insurance for installing a security and commercial surveillance system. So, what’s the difference between CCTV and IP Video Surveillance? The biggest difference between CCTV cameras and IP Cameras is the resolution. The very best CCTV (analog) cameras can only record up to 720 dpi (dots per inch). An IP camera can record more than 30 million dots per inch. Basically, the IP cameras are sharper and give you more detail in your recorded image. 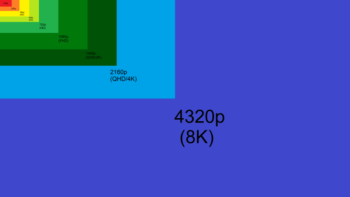 To clearly see and identify the subjects in the camera, you need to have as many pixels as possible. The second largest difference between CCTV and IP Video Surveillance is the intelligence of the camera. IP Video Surveillance cameras are basically small computers with a lens. This allows the IP Video Surveillance cameras to do things such as report camera status and health, detect motion, count customers, detect smoke, detect temperature differences, record shopping heat maps, detect wrong way movement, detect gunshots and even detect when someone has left a package behind. Some IP Video Surveillance cameras even utilize artificial intelligence to learn from what it views. For example, detecting whether the motion it sees is an animal or a human. The animal is recorded and a human would trigger an alarm and then dispatch security or police. IP Video Surveillance systems take power from and record over a network. These network recording devices can be housed anywhere, even off-site, including in the Cloud. CCTV systems record to a DVR that would be housed on-site and would be vulnerable. An IP Video surveillance system compresses the video recording allowing for longer recording time and stores the recorded image at its full 2-30 megapixel resolution. CCTV systems tend to record at 480 by 640 resolution. Cost and Compatibility. It’s true that CCTV systems tend to be less expensive than IP Video Surveillance systems. However, the benefits of higher quality images, higher quality recordings and intelligent cameras far outweigh the differences in price. Additionally, IP Video Surveillance systems can be configured and integrated with your other business systems such as intrusion detection systems, point of sale machines, productivity programming and even time and attendance. This question comes up a lot! It’s a great question… that’s not easy to answer without doing a complete site survey. For no charge, trained security consultants from Kenton Brothers Inc. will do a free site assessment and IP Video Surveillance design for any business that would like to add Commercial Video Surveillance. What role does cybersecurity have with my commercial video surveillance system? The news is riddled with stories about how hackers have used vulnerabilities in “off the shelf” video surveillance systems to breach business data. This is a big problem and isn’t just a video surveillance issue. One of the largest data and credit card information hacks ever committed occurred through a heating and air conditioning module on a network that wasn’t managed correctly. Professional installers, such as Kenton Brothers Inc. and the manufacturers we partner with, make specific recommendations and incorporate specific processes to manage vulnerabilities. Kenton Brothers Inc. will design the proper network structure, implement security configurations, update passwords (never leaving a default password in place) and install patches when released. These are part of a larger strategy we employ to keep your business data safe. Here is one of the resources we use to “harden” your video Surveillance system (PDF). This PDF was created by one of our trusted partners Axis Communications. Is there really a difference between the systems you install and one that I can buy at my local warehouse wholesale store? YES. If you take nothing more from this blog, please remember this: There’s a huge difference in the quality, capabilities and cybersecurity between an off-the-shelf system and one professionally designed and installed by a certified integrator such as Kenton Brothers Inc.
Next month, in part 3 of this video surveillance series, we’ll discuss the types of cameras on the market and how you would use them! RADAR for the Masses. Making your video surveillance more intelligent. Today, I want to show you some new products from Axis Communications. Axis overcomes this challenge, by using multiple IR illuminators inside the Q6125-LE. Each IR illuminator is faded in or out based on the zoom level of the lens. 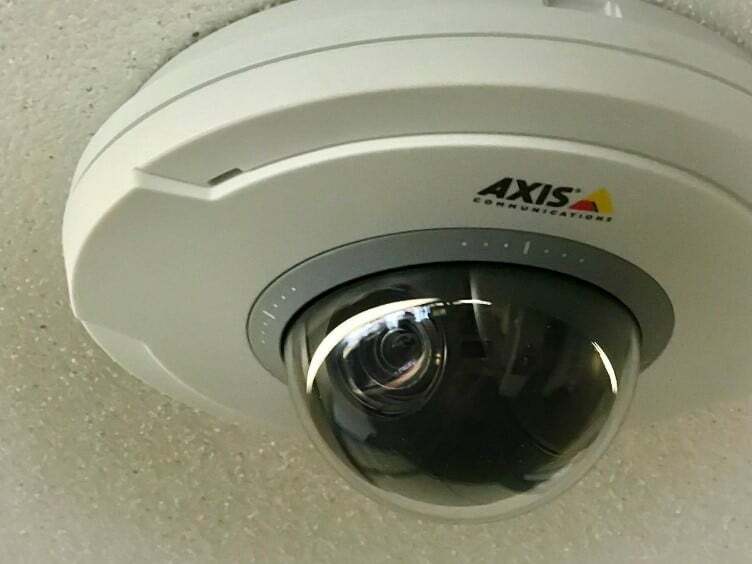 This feature is in addition to the other standard features in Axis Q series PTZ cameras like auto tracking and speed dome technology and Axis is including analytics like Fence Guard and Loitering guard. We’ll see some of those technologies in upcoming blogs. This PTZ camera fits nicely into Axis’s line up. The next product we’re excited about is Axis’s new D2050-VE. This is a totally new technology for Axis. It’s a radar paired with a PTZ. The radar can detect people and vehicles in a 120-degree arc for a little over 160 feet. 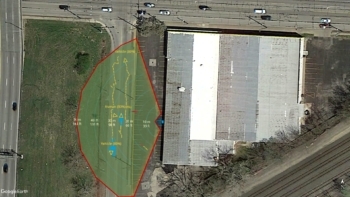 It can still be connected to your video management software, but the image shows all the things that the radar is tracking, instead of an image of the tracked item. The radar does not need light and can “see” through fog and other conditions that would normally prevent camera footage. With a PTZ the radar becomes even more useful. It will tell the PTZ the location of the object or objects, so the PTZ can keep them in view. Although many Axis PTZs have auto-tracking, they will not see other items that appear when auto-tracking is engaged. The radar always has a 120-degree field of view and will tell the PTZ about the other objects in the area. Axis is rapidly expanding on the firmware of the D2050-VE, recently they have added an accuracy rating, which tells you how sure the object is a car or person, and speed filters to alert when a car is moving too fast. The application for the Axis D2050-VE is in private areas where advanced detection is required. Coupling the radar with a PTZ adds identification to the detection that the radar already gives. We’re excited about the possibilities that the Axis Q6125-LE and D2050-VE bring to our customers! https://kentonbrothers.com/wp-content/uploads/2018/11/20181112075602814_UTC-06.jpg 1080 1920 Neal Bellamy https://kentonbrothers.com/wp-content/uploads/2017/10/Kenton-Brothers-Logo.jpg Neal Bellamy2018-12-05 06:00:382018-12-17 15:21:00RADAR for the Masses. Making your video surveillance more intelligent. In 1967, Dr. Samuel U. Rodgers opened the first federally-recognized community health center in Missouri — just the fourth such center in the country at that time. Dr. Rodgers believed families deserve access to everything they need to thrive. That’s why he chose to open his health center at the Wayne Miner Housing Project, so families got the care they needed right in their neighborhood. In 1988, the Wayne Miner Health Center was renamed in honor of its founder and Executive Director: the Samuel U. Rodgers Health Center. Dr. Rodgers dedicated his life to providing quality, compassionate and affordable health care to Kansas City. Like Dr. Rodgers, Kenton Brothers Systems for Security has a long lived passion… ours is for creating security peace of mind. KB partnered with the Health Center as their security integrator of choice to upgrade and expand their access control and video surveillance systems. KB has been securing people, property and possessions for over a hundred years. S2 access control and Milestone video management systems were utilized to increase peace of mind through effective administrative control and reporting. Kenton Brothers worked with the IT and Security teams to redesign and improve the capabilities and effectiveness of their systems. The end result was meeting the current needs at their main campus. Kenton Brother commends the associates at Samuel U. Rodgers Health Center as they build healthier families, enrich neighborhoods and strengthen the community via their five locations in the KC metro, serving more than 25,000 patients. Kenton Brothers Systems for Security is a WBE certified, commercial security systems supplier in Kansas City, MO. We offer commercial grade security systems including access control systems, video surveillance systems, hosted & managed security systems, locks, keys, and security system maintenance.